LOL, well this one has been interepreted differently by a few friends who've seen it early. 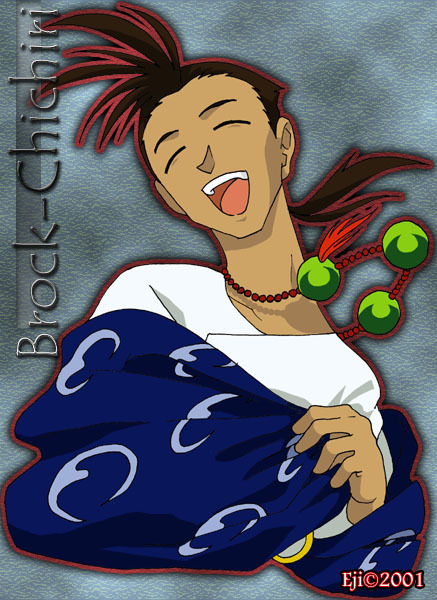 Some say it definitely looks like Brock, and others say it's still too Chichiri, so I'm not sure what to think.... I sort of cheated some of the wrinkles of his blankety blue wrap away, because I just really, really hate dealing with wrinkled fabirc. -_-; Otherwise, though, I think it turned out pretty well... what do you think?